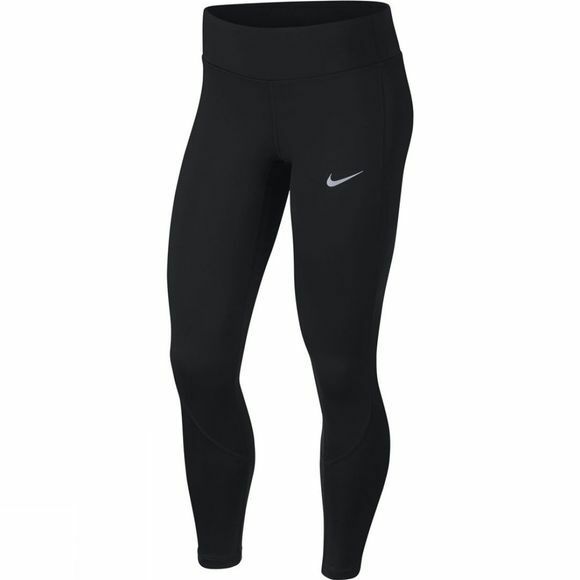 Kick your run into high gear in Nike Power Racer Women's Running Tights. High-shine material wraps around the leg to give your style an edge, while stretchy, supportive fabric helps keep you feeling strong to the finish. High-shine material wraps around the legs for style. Zippered back pocket is big enough to hold a phone. 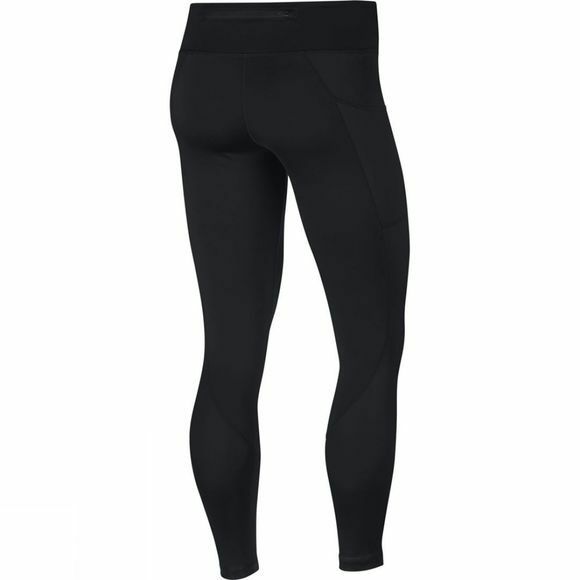 Wide elastic waistband provides a supportive, held-in feel. It has an internal drawcord for a personalized fit. Internal drop-in pockets within the waistband provide small-item storage. Flat-seam construction moves smoothly against your skin.